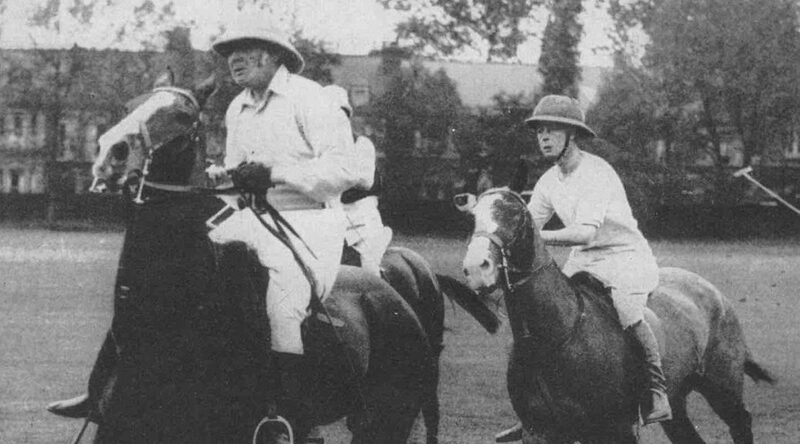 “Win­ston Churchill and Polo” was first pub­lished in 1991. It is now updat­ed and amend­ed, thanks to the rich store of mate­r­i­al avail­able in The Churchill Doc­u­ments pub­lished by Hills­dale Col­lege Press. This arti­cle is abridged with­out foot­notes from the Hills­dale Col­lege Churchill Project. For the com­plete text and foot­notes, click here.